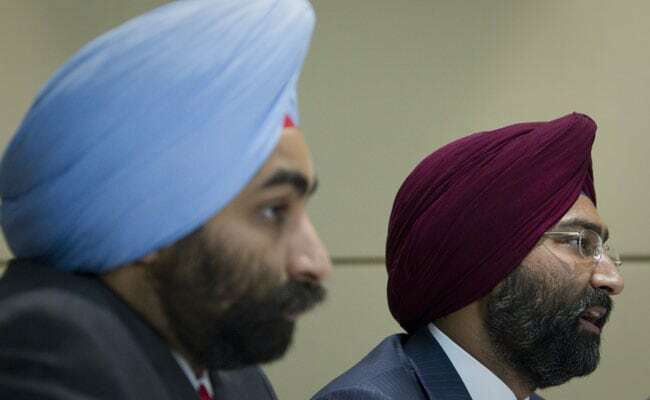 Fortis co-founder Shivinder Singh said that his request to withdraw plea against his brother Malvinder Singh was on Friday accepted by the court. However, Shivinder Singh (left) made it clear that he has snapped all business ties with his brother. Fortis co-founder Shivinder Mohan Singh said on Friday that his request to withdraw the plea that he filed against his older brother Malvinder Mohan Singh was on Friday accepted by the court but also made it clear that his decision to end business ties with his sibling stands. "The honourable NCLT today granted my request to withdraw the petition of oppression and mismanagement I had filed against my brother Malvinder and Sunil Godhwani. I am indebted to the court for accepting my request," he said in an official statement. "The request to withdraw was made after repeated urging by my mother and family - that Malvinder and I participate in mediation as a final attempt to resolve amicably the inter se issues between us," Shivinder Singh said. Shivinder Singh said that he made the decision to file the case against his brother with a "heavy heart and after careful deliberation". "The decision to withdraw was weighed equally seriously. I did so because my primary goal remains to address the group's issues through constructive and transparent engagement with Daichii Sankyo and our other creditors. It is clear that my brother and I cannot do so together," Shivinder Singh added. "To that end, I intend to use the mediation process to get to a critical decision. Namely, whether my brother or I, take full responsibility for resolving the group's issues with Daiichi Sankyo and other lenders," Shivinder Singh said. The Singh brothers sold their controlling stake in drug maker Ranbaxy Laboratories, founded by their family, to Japan's Daiichi Sankyo Co, in 2008. Both of them have equal stakes in RHC Holdings, but lost their control of hospital chain Fortis Healthcare and Religare Enterprises after lenders converted pledged shares. "In the event mediation fails, I intend to reassess and start a fresh action if that is what it takes to address all issues and start afresh," said Shivinder Singh. However, Shivinder Singh made it clear that he has snapped all business ties with his brother. "To ally justifiable scepticism, let me be clear: the decision to disassociate from my brother, and tread an independent path stands," he said. On Thursday, Shivinder Singh had announced that he had filed a fresh plea in the National Company Law Tribunal (NCLT) to withdraw the petition against his brother. Last week, Shivinder Singh, his wife Aditi Singh and their company Shivi Holdings filed the case in the NCLT against Malvinder Singh and ex-Religare chief Mr Godhwani, alleging mismanagement of RHC Holdings, including embezzlement of funds and forgery, which led the group into a debt trap, reported news agency Indo-Asian News Service. The two brothers, who now own less than 1 per cent of Fortis, have denied allegations that they siphoned funds from the hospital operator. Shivinder Singh had filed the case in the wake of financial troubles at group businesses RHC Holding, Religare Enterprises Fortis Healthcare, according to a report by news agency Reuters. "The collective, ongoing, actions of Malvinder and Sunil Godhwani led to a systematic undermining of the interests of the companies and their shareholders," Shivinder Singh had said earlier.